In just the last two weeks, the special counsel has secured the cooperation of President Donald Trump’s former campaign chairman, dispensed with the case of the campaign aide who triggered the Russia probe and signaled he’s squeezed all the information he needs out of former national security adviser Michael Flynn. It’s unclear when the documents will become public. 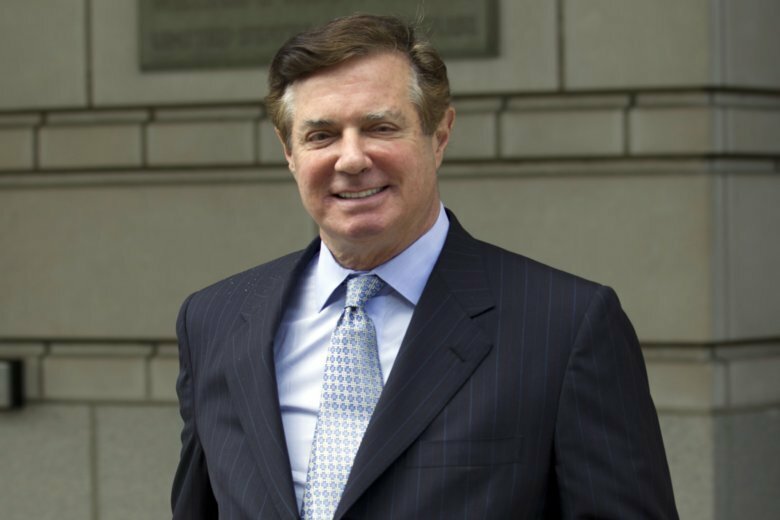 On Friday, the man who led Trump’s campaign for several crucial months pleaded guilty to two more felony charges and agreed to cooperate “fully, truthfully, completely and forthrightly.” Manafort’s deal came as he was facing a second trial that was to explore his efforts to secretly lobby in the U.S. for Ukrainian interests and to conceal the millions of dollars he funneled through offshore accounts as part of that work. Manafort, an eyewitness to a June 2016 meeting at Trump Tower with a Russian lawyer, could detail the actions of Trump’s son-in-law, Jared Kushner, and Trump’s eldest son, Donald Trump Jr., who was told in emails that it was part of a Russian government effort to help his father’s campaign. That includes continued government scrutiny of law firms and Washington lobbying shops, such as Skadden Arps, Mercury Public Affairs and the now-defunct Podesta Group, which took part in Manafort’s unregistered lobbying work. With Manafort’s deal, Mueller has now secured six guilty pleas and a trial conviction and has pending indictments against three companies and 26 individuals including 12 Russian intelligence officers. Two other investigations that Mueller referred to other U.S. attorneys have also resulted in guilty pleas. That includes a probe of longtime Trump fixer Michael Cohen. And prosecutors weren’t too happy with him. They recommended jail time because he didn’t provide “substantial assistance” and only begrudgingly helped them after his 2017 arrest. They also argued that Papadopoulos’ lies during the early days of the FBI’s Russia investigation irreparably damaged it. Those false statements involved Papadopoulos’ contacts with Russian intermediaries during the 2016 campaign. Before Russian hacking of Democratic organizations became public, one of the intermediaries, a Maltese professor, told Papadopoulos that the Russians had “dirt” on Democrat Hillary Clinton in the form of thousands of emails. But when FBI agents confronted him in January 2017, Papadopoulos lied, and, prosecutors say, that deception resulted in them missing an opportunity to interview professor Joseph Mifsud while he was in the U.S. He hasn’t returned since. A federal judge ultimately sentenced Papadopoulos , whose Russian contacts triggered the Russia probe, to 14 days’ incarceration. After months of delay, Mueller’s team says they’re ready for a judge to sentence Trump’s first national security adviser as early as Nov. 28. Flynn, a retired U.S. Army lieutenant general and a senior Trump campaign surrogate, has been waiting for the government’s signoff since he pleaded guilty in December 2017 to lying to the FBI about his contacts with Russian officials during the presidential transition. Flynn has been seen as a key cooperator in Mueller’s investigation. But prosecutors have yet to say what he shared and whether it has led to possible criminal charges against others. And a court filing Monday suggests the public will have to wait a little longer. Prosecutors are asking a federal judge to set a schedule that would keep the specifics of Flynn’s cooperation from becoming public until after the midterm elections.